For most homeowners, fires inside your home is the worst possible experience that they would ever have to suffer. Not only is the home fire damages acquired after the fire difficult to take care of, but the process can actually very complex because of all of the repairs involved. However, the way that you handle yourself in that situation can help you in the long run, especially when you are well informed about what the assessment criteria for home fire damages is. When it comes to assessment, the process begins from the outside of the property. An inspector is needed, and they will review the home and decide on how safe the home is to enter and stay in. Sometimes, even when a home may look perfectly fine on the outside, it could have a very low structural integrity and be very unsafe. This is why the inspector, a professional, is needed; they have the right training to identify how safe your home is. Next, they’ll also make notes of any damages unrelated to structure on the outside of the home. The inside of the home is assessed differently. The basement will be the first room that will be checked by the inspector, as through the basement, the inspector can get a chance to see how the foundation of the home is doing. Based on this, the inspector can already start making decisions about the extent of damages. Any signs of cracks or rot in the foundation of the home is a tell-tale sign that a lot of work will be needed inside the home. If the foundation looks good, that will inevitably be good news. Finally, the inspector will have to check the whole home for any signs of a weakened structure. This could be anything; cracks in the walls, slippages, or soot on the ceilings. In some cases, the home may face issues such as lingering smells and stains. As a result of this, moisture may be retained inside the home, which can help the growth of microbes and mold. This is probably why walls are commonly replaced after fires. The assessment for superficial damages is only given a priority once all of the structural damages in the home have been located and addressed appropriately. Now, the rest of the home becomes a priority for them. 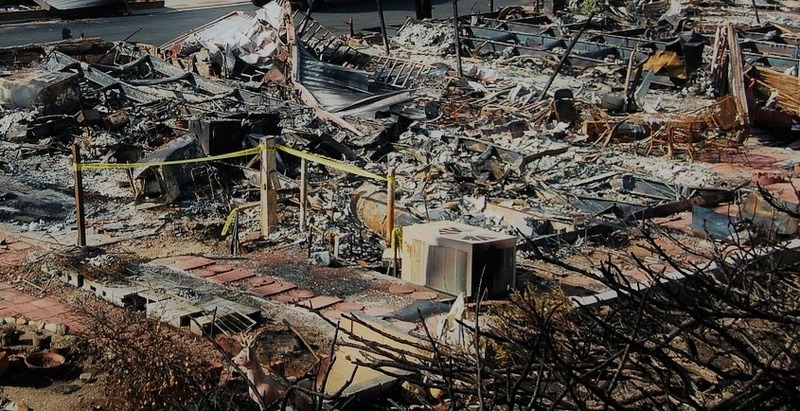 In this stage of the fire restoration process, it is a good idea to keep documentation of all of the damages, as this would help you file a claim later on. You will also need to look through all of the damages and decide which of your possessions you wish to keep and which you think you are beyond repair. Call The Best Restoration If You Experience Home Fire Damages In The Gainesville Area! Now that the home’s safety has been established, the Gainesville fire restoration team will start working on cleaning up the mess after the fire. If you ever face a fire in your home, call up a restoration company at once to deal with the aftermath.